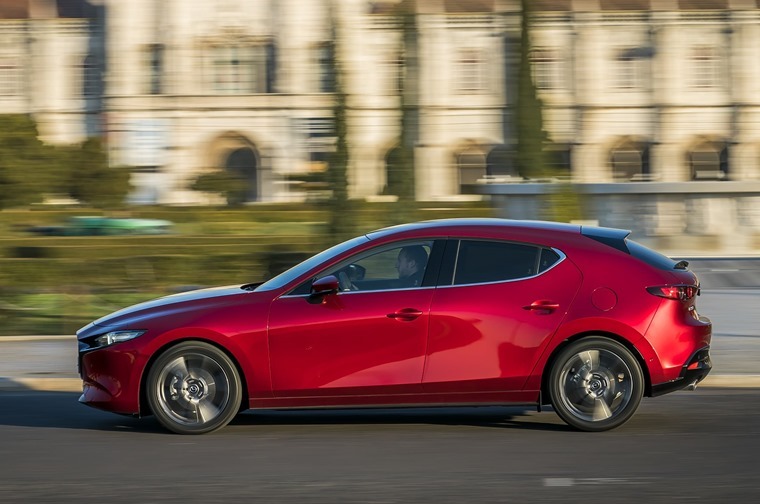 The all-new Mazda 3 will be priced from £20,595 rising to £27,735 when it lands in the UK later this year. First deliveries are set to arrive in May. It was revealed at the 2018 Los Angeles Motor Show and features a sleek coupe-like look. It’s aiming to take on the Volkswagen Golf and the latest Ford Focus. 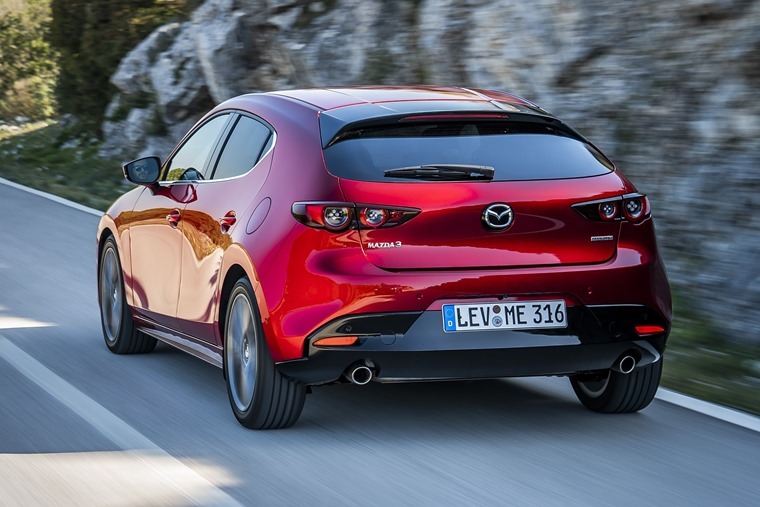 The all-new Mazda 3 is the first of Mazda’s new generation of vehicles to roll off the production line. Taking inspiration from the Kai Concept that was unveiled at the 2017 Tokyo Motor Show, the hatchback variant features a swooping rear end with an unusually thick C-Pillar. Like the current version, it’ll be available as a saloon, too. The sporty hatchback and elegant, sophisticated saloon embody two distinct personalities, featuring a ‘less is more’ approach to design. The car’s unique body side panels, low-to-the-ground nose design and reduced gap between wheel arches and tyres accentuate the Mazda 3’s striking proportions. A new cockpit design combines symmetry, functionality and comfort to enable a natural and relaxed driving position for all drivers. A 7in TFT display and a windscreen-projected Active Driving Display maximise ease of reading and instant recognition, while the 8.8inch widescreen centre display enables a split-screen view and improved operability with the aim being to enable drivers to control the car through intuitive actions while reducing distractions. The UK model line-up sees a choice of five trim levels: SE-L, SE-L Lux, Sport Lux, GT Sport and GT Sport Tech. All models feature a head-up display, traffic sign recognition, radar cruise control, satnav and LED headlights. SE-L Lux and Sport Lux add items such as a reversing camera, keyless entry, heated front seats and additional chrome trim. GT Sport sees the introduction of black leather seats with power adjustment, a heated steering wheel and Bose audio, while the range-topping GT Sport Tech features a suite of additional active safety equipment, including a 360o camera and Driver Attention Alert with interior camera. Only two engines will be available. The Skyactiv-G 2.0 petrol engine with mild-hybrid capabilities offers dynamic performance combined with excellent fuel economy and low emissions. It develops 122 PS at 6,000 rpm and maximum torque of 213 Nm at 4,000 rpm with CO2 emissions of 136-152 g/km. The engine also automatically switches between two-cylinder and four-cylinder operation depending on the driving conditions. Thus, the system shuts down cylinders one and four in light-load situations, such as when cruising at a constant speed. The driver is therefore able to enjoy fuel savings without any noticeable change in the feel of the car. The Skyactiv-D 1.8 diesel engine replaces the 1.5 and 2.2 diesel engines in the outgoing model and offers 116 PS at 4,000 rpm and maximum torque of 270 Nm at 1,600-2,600 rpm with CO2 emissions of 130-151 g/km. It is also equipped with a NOx Storage Catalyst system which converts nitrous oxide back into harmless nitrogen, dramatically reducing NOx emissions. 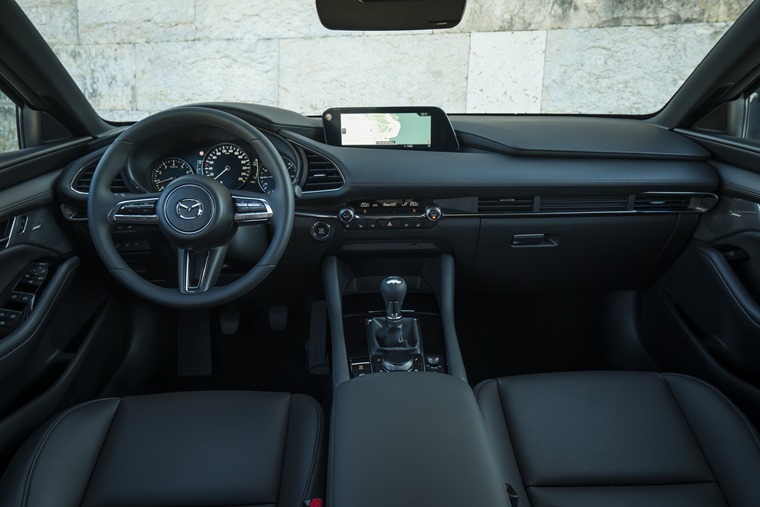 The all-new Mazda 3 is the first commercial model to feature some of the technologies that will realise Mazda’s ‘Sustainable ZoomZoom 2030’ long-term vision. This approach looks at well-to-wheel carbon emissions to realise true environmental sustainability, while delivering outstanding driving performance. The introduction of Mazda’s revolutionary Skyactiv-X petrol engine marks an important step in this direction. 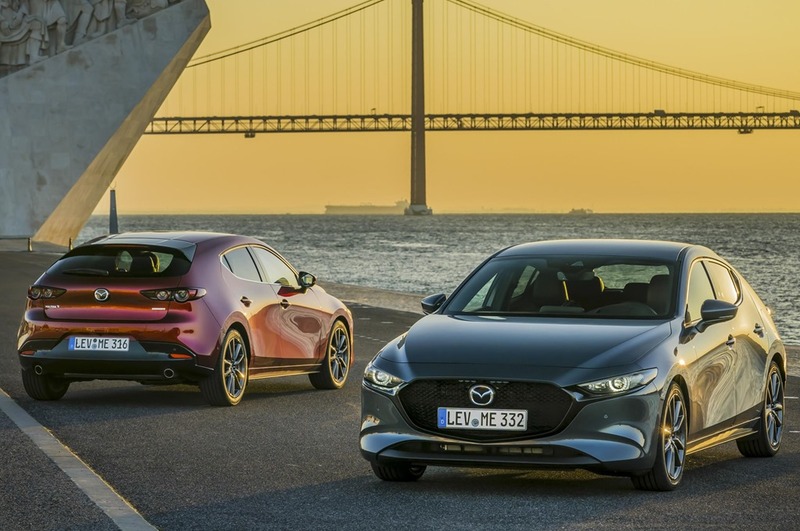 In the all-New Mazda3, the engine will make its first appearance in a production car and aims to increase efficiency by up to 30% compared to other petrol units. All models also feature G-Vectoring Control Plus which varies engine torque to optimise the vertical load on each wheel, providing more precise handling and improved comfort. AWD drive will be available exclusively on the hatchback model, delivering grip, handling agility, driver confidence and fuel efficiency. We’ll bring you lease rates as soon as they’re available. 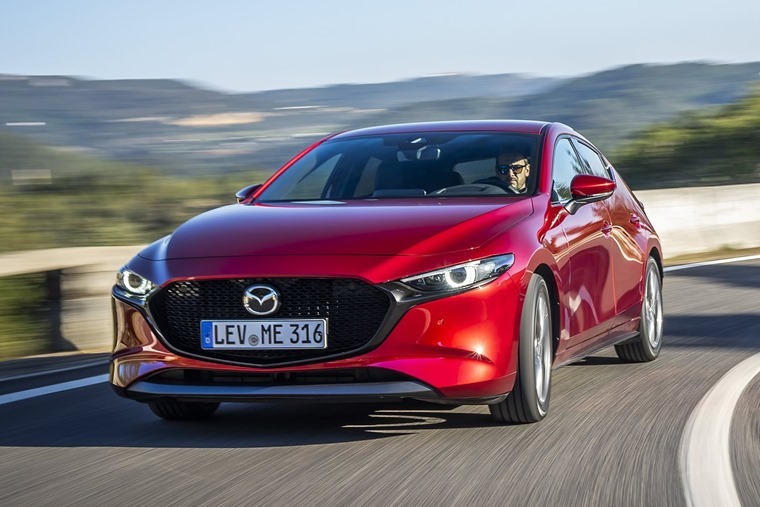 In the meantime, you can check out thousands of lease deals on the current car here, or check out our latest review of the refreshed Mazda 6 Saloon.